In June 2017, the Jeffco Board of Education adopted a new federally-required Local Wellness Policy. 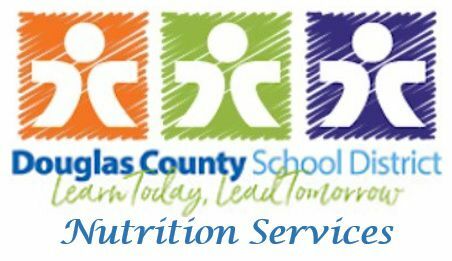 This policy impacts health and wellness in Jeffco Schools, with specific improvements to nutrition standards related to marketing, and foods offered (not sold) to students. 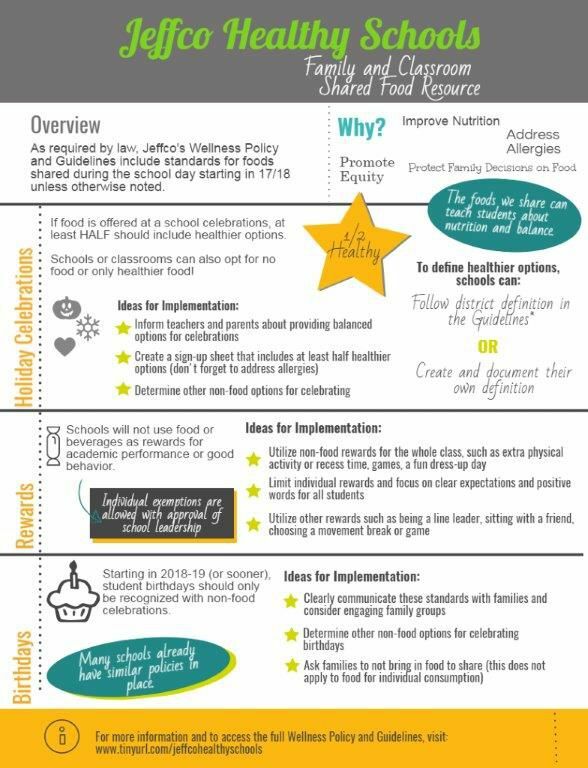 Holiday Celebrations- Offer at least half "healthier" food options (using the district definition of healthier or your one customized by your school). Birthdays- Starting in SY 2018/19, birthday recognition/celebrations should not include shared food (e.g. food brought in by families for students to share). Rewards- Do not offer food as a reward for behavior or academic performance, unless approved as a need by school leadership.